Too Candid Of A Camera? You want to talk about tearing a wall down. It was discussed on many news networks of a patient being awarded $500,000 because of a recording of the medical personnel involved in his care revealed that they were less than flattering about himself and the procedure he was undergoing. To be honest, I am shaking my head at this one. In fact, I am not really sure where to start. So, I guess I will just give the summary. The patient, who is never identified in the lawsuit, decided to use his smartphone to record post-op conversations for his release and any other needs. What he got, quite honestly was more than his colon could take. Many times, it happens that the doctor will come by to the recovery area, and even though the patient is awake, will begin to discuss the preliminary results or finding even though the likelihood is that the patient will have no recollection. So what is a patient to do? Well, one patient had the idea to use his smartphone to record the conversation in just such a case. 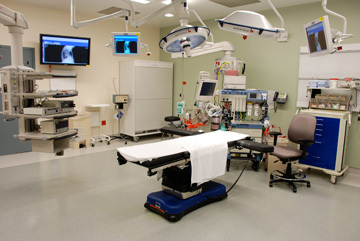 In many cases, the patient actually puts their belongings inside of a plastic bag, which will actually accompany the patient to the procedural room. But instead of hitting the record button during recovery, the patient actually hit “record” prior to heading for the colonoscopy. We have all seen the television shows from M*A*S*H to ER, Emergency to Grey’s Anatomy. We all expect there to be conversation inside of the surgery suite. Topics ranged from entertainment to social status, to perhaps even actual conversation about the procedure itself. I remember going in for my heart surgery, and the surgeon was actually listening to hard rock music before I was even anesthetized. Intentional or not, this patient received more than an earful, for pressing “record” before he was expecting to. Of course for that, he is $500,000 richer, and I am certain that those of us who regularly have procedures that we are anesthetized for, will be under scrutiny, and now having to answer to the question (have your turned your cell phone off) prior to the procedure. Though my feelings are mixed about this lawsuit, my feelings are mixed about the situation itself. It turns out the patient was actually humiliated verbally by the anesthesiologist and other personnel, prior to, and during the actual procedure. The anesthesiologist expressed annoyance with the patient during sedation, enough to harass the sedated patient by saying to the sedated patient that he wanted to punch the patient in the face for the discussion during pre-op. Comments were made about the way the patient had fears about the procedure, and then of course countless inappropriate insults. Of course this behavior did not belong in this situation. And had the patient not recorded the procedure, he… we would have been none the wiser. I am sure that an incident like this does not happen often. But seriously, as a patient myself, who has to plead, for the benefit of the person who has to try and put an IV into my chemotherapy destroyed veins, I do not expect to be ridiculed for being a baby for getting stressed out after the 7th or 8th attempt of getting the needle into my vein. Or perhaps for making sure that doctors and nurses respect my knowledge of the delicate issues that revolve around my cancer survivorship, my life depends on it. Because of my complicated immune system, if preventative antibiotics are not considered, my risk of not surviving even the most routine of a procedure are high. There are certain things that can never be done to me because of chemo and radiation damage such as giving me pure oxygen. I would be mortified knowing that my reward for trying to make sure that those involved in my care, took all the steps necessary, was to end up being mocked. Should this incident have happened? Absolutely not. In fact, I even question the smartphone recording prior to the procedure. After all, nearly everyone these days of Youtube and Instagram want 15 minutes of fame. Was it worthy of a $500,000 award? No. Should those involved have been punished? Absolutely. Will it affect me, my confidence, as my annual testing for my long term cancer survivor issues will be coming around shortly? I want to say not. In fact, I cannot afford to think otherwise. I have a lot of serious issues. I need to have the confidence in my team that is treating me. But if I am being honest, it will be at least a blip on my radar.